Mrs P Desperately Needed A Holiday....Mrs P's husband had been ill for some time and she had felt the stress and strain of looking after him. He had finished his treatment and was now well enough to consider a short holiday. They had always loved Cornwall and Mrs P had looked online and found the ideal location for a week away. Her only problem was Pebbles, their nine year old cat. Ten months previously Pebbles had had a fit. He had laid on his side twitching and making running movements. At first Mrs P thought he was having a dream, but when she called and touched him there had been no response and she had panicked. After a couple of minutes Pebbles came out of the fit and seemed perfectly normal but Mrs P made an appointment with the vet. Pebbles had many tests with no conclusive outcome. The tests seem to confirm that Pebbles was not suffering from epilepsy. Fits can be caused by abnormal brain activity, a head injury or even a birth defect. There could be an underlying medical condition but unless other symptoms were noticed Mrs P was advised to keep a watch on Pebbles. She was given some tablets to administer if Pebbles had another fit, but the fit lasted more than two or three minutes it would be imperative to get Pebbles to the vet as an emergency. Pebbles seemed perfectly healthy and the only time he had shown signs of having another fit was six months previously and Mrs P had been able to give him his medication. Mrs P's neighbour always took her cat to a local cattery and she highly recommended them. Mrs P made an appointment with the cattery owner to discuss Pebbles's case. The cattery owner was very helpful and said she would be prepared to give Pebbles his medication if needed but she explained that there was not 24 hour surveillance in the cattery. She could promise to check on Pebbles every hour or so but if he had a fit in between visits she would have no way of knowing. She suggested that Mrs P should try to find a cattery with monitoring facilities or perhaps leave Pebbles with the vet. 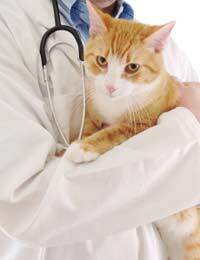 Some Veterinary Surgeries will take old or infirm cats, or cats with special needs, for short breaks. Mrs P was very impressed with the honesty of the cattery owner and did as she suggested and phoned other catteries, but none had 24 hour monitoring facilities. She didn't really want to leave Pebbles at the vets as he would be confined to a small cage. Most of the time Pebbles was fine and when at home he was not monitored 24/7. There were times when she was out for several hours shopping. Pebbles was an outdoor cat and liked his freedom and she had to accept that if he had a fit while outside, she would never know. She decided to leave him with the cattery that she had visited. She had to sign a form absolving the owner of all responsibility if Pebbles died while he was boarded. The cattery owner explained to her that this was common practice and not just for Pebbles. She suggested that Mrs P should phone whenever she felt anxious to check that Pebbles was alright. Mrs P left her mobile number and her neighbours number just in case it was needed. Mr and Mrs P had their holiday in Cornwall and Pebbles was perfectly safe and happy in the cattery. Mrs P phoned the cattery twice during the week and was assured each time that Pebbles was well. When after a week she collected Pebbles she did wonder why she had been so concerned. Pebbles was enjoying a cuddle with the cattery owner and hardly seemed bothered about going home. Mrs P was greatly relieved and even thought of a holiday further afield next time.